Mind Sports and the International Federation of Poker are real and the IFP wants you as a new member in the first International Sporting Community for Poker. Sports Techie, Mind Sports has over a billion global players and has gone ultra digital and mobile via social media. Everyone knows someone in their social network, perhaps even yourself, who loves to play cards, chess or checkers, either online or in a brick-and-mortar setting. Any gender, race or income level can play competitive Mind Sports which is based on strategic skills with no casino involvement. There are no physical handicaps that prevent anyone from playing Mind Sports, one-to-one. Pat Nally, Mind Sport Partners (MSP) and West Nally Company founder, was gracious enough to talk with THE Sports Techie in Seattle about the IFP as a National Governing Body, the MSP business development plans for the exploding Mind Sports industry, and the online beta test being conducted with 30% of their current membership. The primary mission for the non-profit IFP since its launch in 2009 is to unite players while protecting the integrity of the games using regulations. According to Mind Sport Partners (MSP) and West Nally Company founder, Pat Nally, “There are 60-70 million Chinese Texas Holdem players on the Internet daily.” He says that Mind Games may be, “the 4th largest sports business on our planet.” There is a MSP office in Oxford,England at Barkley Square where the Executive team is executing Phase One of mass marketing. West Nally at: http://westnally.com/ is a joint venture with Dentsu, a Japanese public company who is committed to digital media and the future. Together they plan to develop and promote Mind Sports worldwide with investments of $7 million each. The MSP’ headquarters are based in Singapore. The MSP is the official agency for the IFP. Pat has an impressive sportsbiz background entering his fourth age and he might very well be the “Founding Father of Modern Sports Marketing.” His sport business career hails back to the 1960’s and includes stints with FIFA and the I.O.C. where he was responsible for resurrected the Olympic Games and World Cup commercially and turning them into multimillion-dollar brands. Pat understands how an International Federation is required to operate in the eyes of Swiss decision makers. Gaming and gambling is a core issue that the IFP is focused on by not allowing cash to be the major driving force of their Poker Platform. Sports Techie, how would you like to pay a one-year IFP membership fee of $49.99 and then not have to pay another cent to enter tournaments such as the Nation’s Cup. This Global Cup matches National Federations in an Official World Championship they call, “The Table.” Official ISP rankings are used to determine player entry for the top 15 players, in addition to the 12 winning countries of the qualifying rounds. Their last tournament in Spain featured a blend of celebrates who participated to help increase awareness, professionals, and amateurs, along with a team from Zynga, the company behind many of the world’s most popular online Poker and other games. The European Nation’s Cup will have pre-qualifying in November. The Table 2011 tournament was invitation only and held last November at the County Hall and in different London Eye iPods. The next member tournament will be held in China for the first time where it is actually legal to play online, something Pat and his colleagues found out to their surprise and joy. Charity events are more free IFP member offerings. MSP is also the exclusive agency of the International Mind Sports Association (IMSA) which is also non-profit. The IMSA was formed in 2005 in Switzerland and operates the World Mind Sports Games as part of the Global Olympic family of Federations. The IMSA has a President, an executive committee, and over 500 National Federations with World, National and Regional Federations, clubs and players. Bridge, chess, draughts (10×10) and International Go Federations, join Chinese checkers and Duplicate Poker, as official Mind Sports. The first World Mind Sports Games where held in Beijing in 2008, and then again this year in France. The first IMSA Cup will take place in Saint Petersburg in 2013. The IMSA has their application in and are soon to be a member of the Sport Accord. The Mind Sports Research Center and Social Responsibility is a new IMSA initiative together with MIT, Harvard and others Institutions. Education institutions are beginning to recognize the benefits of incorporating Mind Games into their curriculum’s because playing helps train the young brain to focus better and increases a players capacity to concentrate longer. More seniors are living to older ages so keeping a sound mind does equate to a sound body because studies have shown that engaging in Mind Sports can be a barrier with dementia and slow down the onset of devastating brain centered diseases like Alzheimer’s or Parkison’s. Give your brain a workout with Mind Sports. Members are encouraged to improve their Mind Sports play via practice, articles, videos, and quizzes. An IFP state-of-the-art training program is a sports technology achievment that you can use to improve your play. There are plans to roll out teaching facilities in the near future that will have a major tech element. More online benefits are included for IFP members. Attracting sponsors, advertisers and broadcasters is part of the IFP business model. Affilates have been courted and closed. Another Phase One priority is to now sign up media groups as partners in each Federation. By executing a series of these parnerships with high profile media organizations, together with local media outlets, the IFP will soon be in your country. A new IFP U.S. media partner announcement is expected in the next 3-4 weeks of Phase One. 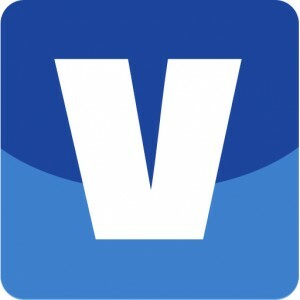 Vavel.com is an online sports news and social media services company that is the first IFP media partner for Phase One. Sports Techie, you can join the Vavel beta tournaments and hourly leagues beta testing as a free membership to get some hands-on Poker playing experience via the web in English or Spanish languages. Look for new German, Portuguese, Italian, French, both Mandarin and Cantonese Chinese, Indian, and Russian language versions. Since the 2009 founding of seven original members, there are now nearly 50 National Federations including the USA, Japan, Russia, India, UK, Germany and Italy. Brazil is fast becoming a world leader and may play host to The Table in the not-so-distant future. IFP Press Launch – http://youtu.be/VHnr2bLAcW8. Sports Techie, I wanted to know whether there is a possibility that sometime in the future, Mind Sports will become an Olympic sport. Pat shared, “No on the Summer Games but maybe the Winter Olympics calendar.” The USA might bid on the 2022 Winter Games. I wonder if Mind Sports will be integrated as an official Olympic sport by that time. The level of skill required to master Mind Games such as puzzles, Scrabble, and Sudoku is like trying to become the Buddha, just when you think you have life or these games all figured out you realize the impermanence of each hand while understanding that the randomness of the draw, combined with your strategy, all needs to align in order to achieve any win, loss or draw, in a competitive game of bridge or Chinese checkers. Playing Mind Sports and Mind Games such as digital chess, cards, or even Word with Friends, are positive trends both physically and socially. 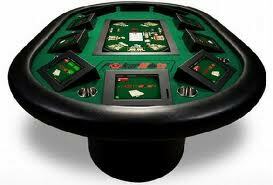 The IFP, MSP and IMSA poker community concept is sports technology driven. I like that there are no extra buy-in fees to play in official and regulated tournaments. Plus, everyone has the same fair chance of qualifying for the Nation’s Cup by improving their online rankings enough to earn a prestigious invitation to The Table. Winning the IFP Championship trophy and the large cash prize generated by Sponsors is our new Sports Techie goal, so say we all. If you have any questions about Mind Sports or the IFP, please let me know as a comment below. Thanks for sharing this blog via a retweet, Like or re-post.